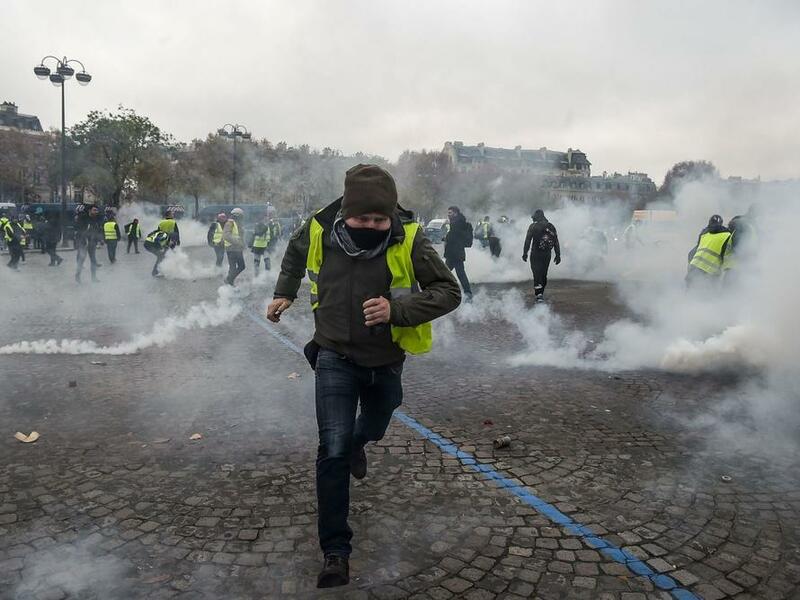 French police used tear gas and a water cannon against protesters in the Champs Elysées, in the center of Paris, as "yellow vest" activists flooded the streets. 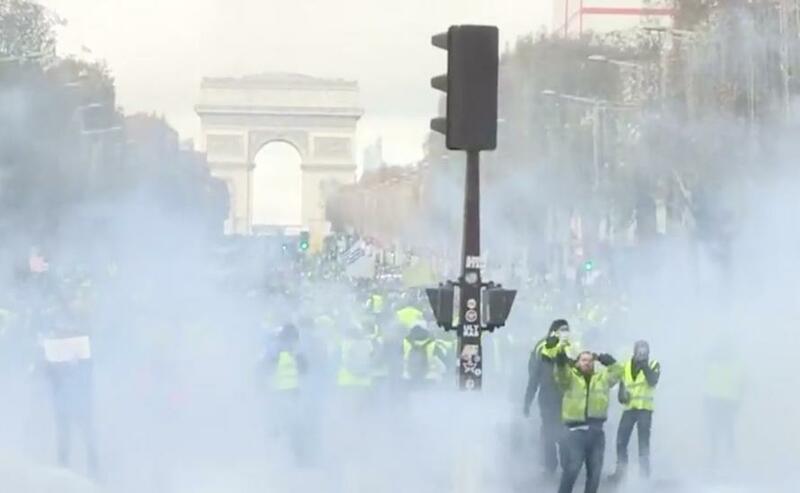 As chaos broke out in the streets of Paris, the Arc de Triomphe was barely visible as thick smoke blanketed the streets. 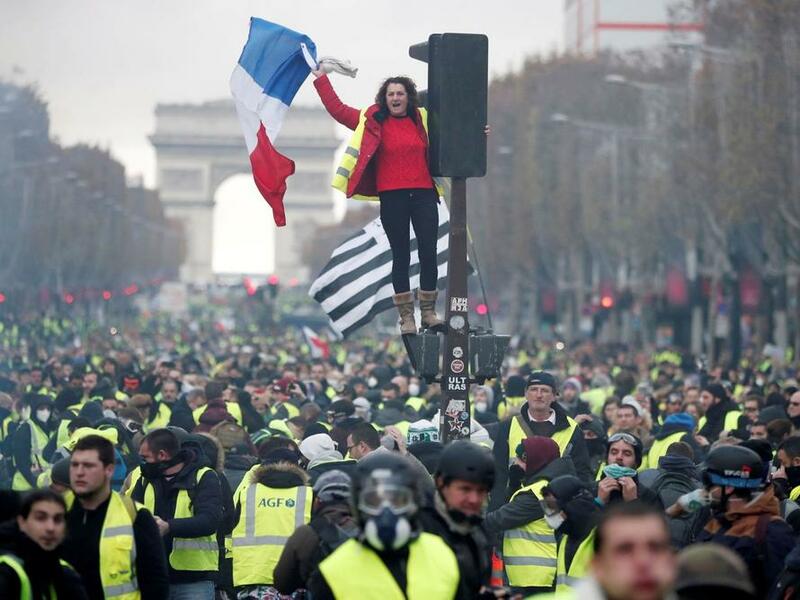 At least eight Yellow Jackets were arrested by police around noon for throwing projectiles, according to Le Figaro, while one protester could be seen being dragged away by riot police. The protests spilled into the Subway at one point, disrupting traffic as several stations closed due to "malicious acts." Saturday marks the second week of Yellow Jacket protests, sparked by rising fuel prices and a planned fuel tax set to be implemented on January 1, 2019. Macron's government insists that the move is aimed at promoting environmntally friendly policies. 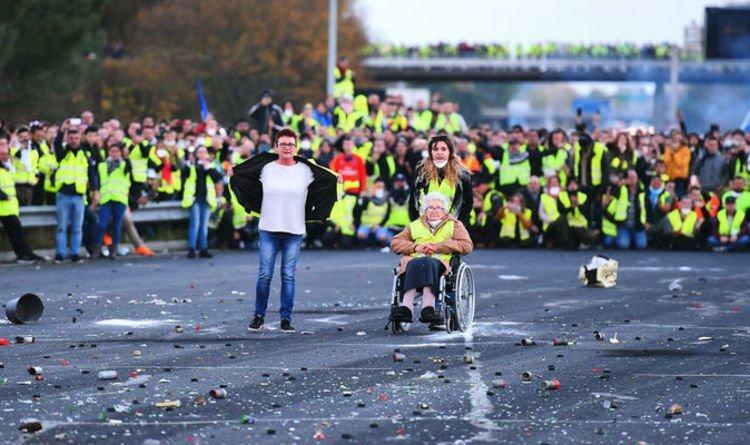 During last wekend's protest, a Yellow Jacket protester died in the southeastern region of Savoie after protesters surrounded a car and began kicking it. The driver accelerated to flee the scene and knocked the woman down. Predictably, French Interior Minister Christophe Castaner blamed the "far right" for the protests. "Today, the far right has mobilised," he told reporters. "The security forces perfectly anticipated this situation." "Their freedom of expression will be guaranteed, but it must not be exercised to the detriment of security, public order and the right of everybody to come and go. There is no liberty without public order," Castaner added. Conservative political leader Marine Le Pen slammed the accusations, calling them a "pathetic and dishonest" form of "political manipulation" by the French government. The protests couldn't come at a worse time for Macron, who said he would govern like a Roman God, yet finds his approval rating in a major tracker poll has cratered to just 25%. the poll was conducted between November 9th and the 17th across 1,957 people. 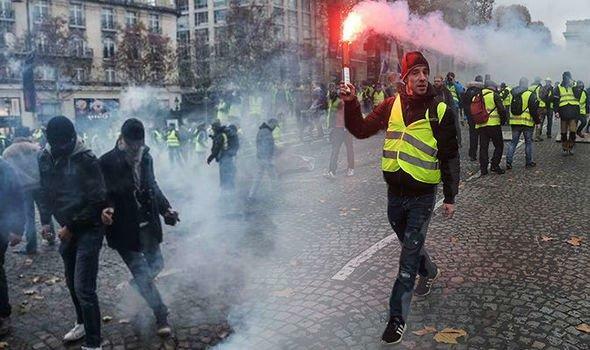 Meanwhile, French residents are not happy with the refugee camps and large migrant settlements which have appeared throughout the country, resulting in no-go zones and clashes between cultures. Across the border in Italy, Interior Minister Matteo Salvini's approval rating has been steadily climbing as he presses forward with his anti-mass-migration Italy-first policies. Will Macron survive the next election?